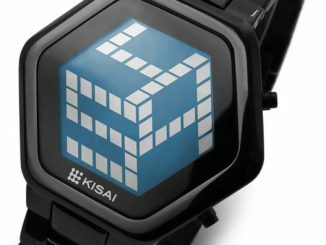 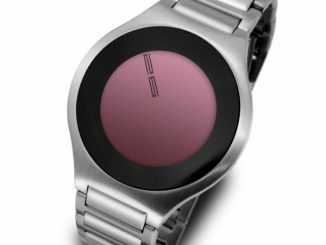 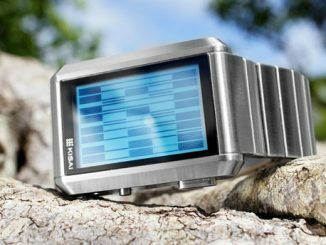 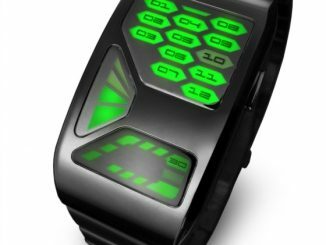 Kisai RPM is the name of this new USB rechargeable Tokyoflash LED watch created by James Fursedon from the UK. 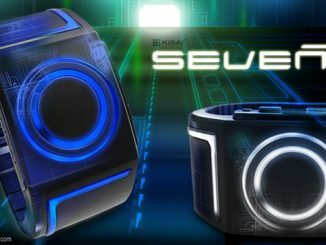 It was the first concept to become reality from the Design Studio Blog, where fans could choose what ideas they wanted to see created. 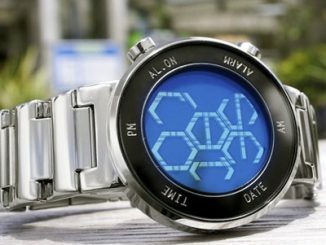 The curved, smoked mineral crystal lens that runs around the edge of the disc creates a subtle reflection before you touch the button to illuminate the rings of blue digital tube LEDs that display the time. 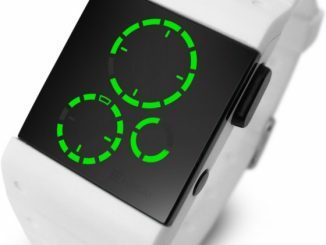 Simple to read at a glance, hours are shown on the inner ring in the same position as hours on a clock. 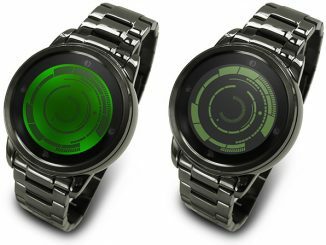 Five minute intervals are shown on the outer ring in the same position as minutes on a clock and four single minutes are positioned at the top of the display along side the AM/PM indicator. 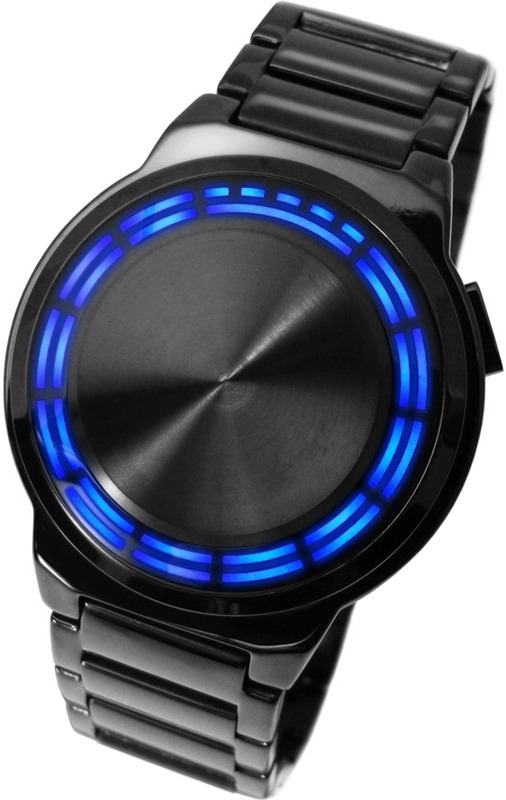 Lights showing the current time will flash for several seconds to direct you. 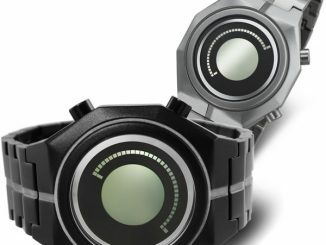 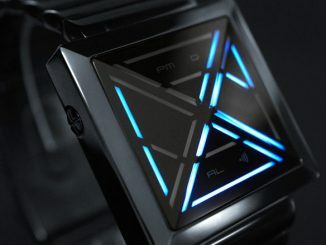 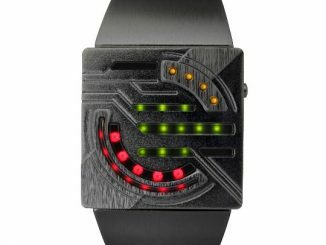 The new Kisai RPM LED watch is yours for $208 from the Tokyoflash online shop.